Eva Kegel is sitting in a job interview for a business development position at a medium-sized biotech company producing monoclonal antibodies. On the other side of the table there is someone from the HR department, the sales department leader and someone working in marketing and business development. Q: So Miss Kegel, tell us about yourself? A: Yes. My name is Eva Kegel, I studied biology at the University of Maastricht in the Netherlands. Thereafter, I gained a PhD degree in the field of biochemistry at the University of Bremen. At the moment I am working in the business development department of the small biotech company BioXYZ. My main responsibility is the acquisition of new customers and for this I travel a lot to conferences and trade-fairs. I love having personal contact with our customers, discuss their wishes and needs and build up a relationship. Something that is not in my job description, but I love doing is to conduct small studies with our target group to get more insight into the technical limitations they are facing. The results of those studies I communicate to the management team of our company, who appreciate it very much. I love my job, but after working in the field for a few years, I am feeling that it is time to further develop myself. I would like to have responsibility for staff and lead a team. This is the reason I am sitting here today and I am very keen to learn more about the position you would like to fill. 1) It is a real pitch! 2) She shows her motivation. 3) She tells what she is looking for in the new job. 4) Use of language that everyone on the table understands. 5) Adapted to the postion she is applying for. She could have mentioned 1 or 2 successes she had in her current job. The higher the position, the more you should talk about successes and not individual skills- in the application documents as well as in the interview. Frank Hausler is being interviewed for a patent law training position. On the other side of the table there are three patent lawyers from the section life sciences. Q: So Dr Hausler, tell us about yourself? A: Yes. First of all, thank you very much for the invitation. My name is Frank Hausler, I am an organic chemist. Over the years I have seen quite a few universities over the world where I either obtained a degree or did an external research project. I have worked with people from many different countries, learned several languages, and learned a lot of research related skills: using concise language to explain difficult issues for example. Currently, I am a postdoctoral researcher at the University of Göttingen. And despite the fact that I very much enjoyed academic research, I do feel that it is time for me to move on and learn something totally new. As I was not sure what this “new thing” should be I contacted several of my old colleagues who left academia and learned about alternative careers paths. I got really excited when one of them told me about the patent law training position he is currently doing. A job where I can combine my writing skills with protecting new inventions sounds very appealing to me. Plus, I have the feeling that there would be good use for my intercultural competence and language skills. Thus, I decided to apply here, and I am very curious to hear about the job from you. 2) He shows his skills. 3) He tells that he really looked into the different possibilities and that his application is not coming out of the blue. 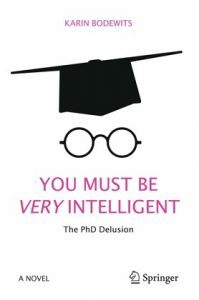 4) He does not explain what he exactly studied during his time in academia as it would be irrelevant for that position. 5) Adapted to the position he is applying for. He could have mentioned that he knows how intense the training will be and that he´s up for such a challenge. 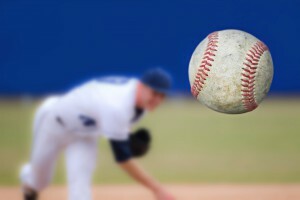 Do you want to prepare your own pitch? Here a few more tips & tricks. Practise your pitch a few times beforehand and ask someone for feedback. Organisations are unique, so should be your pitch. You need to adapt your pitch to every job interview! Unless you apply for a research position, don’t bore your interviewers with the technical details of your research projects. If they are interested in it, they will ask you. Yes, in most cases it is a pitch, so you talk. However, you should of course welcome interruptions if the other party sees it differently. Don’t hold a monologue for more than 90 seconds (during a telephone interview not more than 30-60 seconds).